Deep in the jungle you find yourself face to face with talking trees, giant butterflies and tropical storms that seem to come and go quickly, but frequently! It really is a wild place to shop and eat! 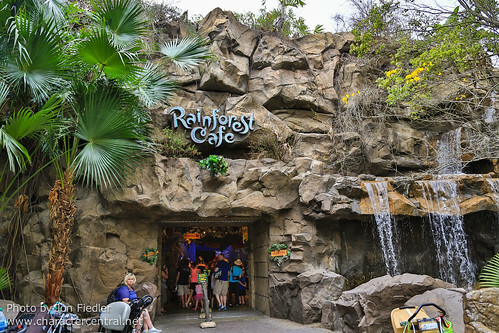 The Rainforest Cafe at DAK has two entrances/exits - one inside the park, behind the Locker Rental place, and one on the outside before security.